L’Oréal is one of the world leaders in cosmetics and makeup accessories. They have a wide customer group spread out worldwide. Finding yourself working for L’Oréal is literally one of the best things that can happen to you. 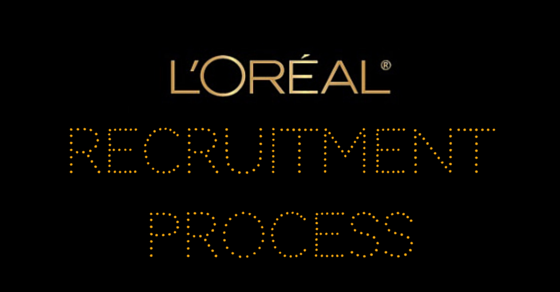 Here is a complete guide to the recruitment process at L’Oréal. Each of these processes aims at knowing you as a person and recognizing your potential. However, like all other jobs, your academics also matters. Since the company gets literally thousands of job applications, it might take some time- possibly months- before a candidate passes through all the above steps. You can apply for job openings online at the L’Oréal website, under the careers tab. Once you find the job that appeals to you, you can go ahead, fill up the form, and submit it. You will receive a conformation e-mail within 48 hours of submission, so make sure to provide the right e-mail address. Filling out the online form is a pretty long process and can take a good 30- 40 minutes. You can save it and return to it later, but the system times out if it is left idle for more than 30 minutes. The online application requires you to fill in standard details such as your name, educational qualifications, previous work experience if any, submitting your CV and resume etc. Once you submit the online application you will be allowed to take an online test. This will be a numerical reasoning test, and will last about 20 minutes. There are a number of mock tests online to help you prepare for this online test. The results of this test along with your background, previous work experience and resume will decide if you got through to the next round. Some of the main traits recruiters look at this level of assessment is confidence, motivation, competency and potential. The first round of interview is the first time you will come face to face with the managers from L’Oréal. This interview is to asses your capabilities in the role you are required to fill. This round may also include extra rounds such as group discussion and quantitative tests, depending on the country you live in. Your academic skills and confidence will be put to the ultimate test since L’Oréal looks to hire the best of the best. The assessment center is a board of managers who will review your performance so far and determine if you will be a suitable asset to the company. Since they have to sift through hundreds of applications, the results will take some time to arrive. If you have made it this far, then you have definitely achieved a great deal. You will be given a job offer based on your performance, and based on the reviews of the board. You will have to sign an employment contract with L’Oréal, which has to be signed in the presence of a Human Resource Director. Congratulations, you have just landed your job at L’Oréal. Your first day on the job will surely be a memorable experience. You will get to meet a lot of great folks and get to know about your work place and your work habits. You are not given any responsibilities on the first day, instead you are briefed about your job status and are allowed to familiarize with the environment. You are made to know about your objectives, missions, contacts etc. and they prep you up before you actually begin to work at L’Oréal. The interview at L’Oréal is different from interviews conducted in other companies. The first round of interview is most likely to be over the phone or the webcam. Latter interviews will be in person. Remember, L’Oréal is company that focuses primarily on beauty, hence make sure you wear well fitting clothes and groom yourself well for your interview. However, L’Oréal represents a young crowd, so try to stay fun and jubilant as well. L’Oréal has 27 brands worldwide. It would do you good to know about the company and its brands, if not thoroughly, at least to an extent where you can hold a decent conversation with someone regarding the subject. It is important that you radiate your interest and passion towards L’Oréal throughout the interview. Learn a few facts, and follow through on important events in L’Oréal’s timeline to get a clear picture on how the company operates and how it caters to consumers worldwide. It is also advisable to try out a few L’Oréal products if you do not use them already. Since L’Oréal is a company in the cosmetics and beauty products industry, they are bound to ask you about your views on beauty. It is bet to review L’Oréal’s catalogue and mission statement and based on your answer there are chances to have more success. Another frequently asked question in job interviews at L’Oréal is to explain about the SWOT analysis of any L’Oréal product of your choice. You don’t have to give a lecture about it, basic knowledge of any one L’Oréal product and the business details of the product should be enough. You favorite marketing campaign, and why you liked it is also another common question at the interviews at L’Oréal. You also need to have a clear idea of what your job role entails. You must know the ins and outs of your job descriptions and an idea of the common problems faced by people in that position. Remember, L’Oréal is always on the lookout to hire creative, yet professionally driven people. Act accordingly during your interview; always maintain a professional attitude, while still evoking a joyful conduct. Although you can prepare well to answer most questions, you will still be confronted with questions that throw you off balance, and it is best to answer those as best as you can. Proving to your recruiters that you are serious about the job, and how passionate you are about it will get a long way. 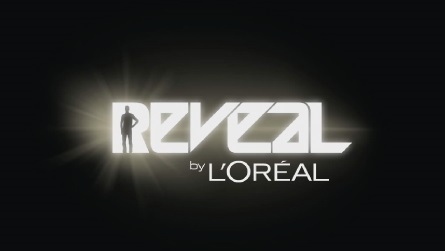 Another interesting part about the L’Oréal interview is the online game called “Reveal”. It is not mandatory for candidates to play that game, but the recruiters will take your activities in the game into consideration if they find it satisfactory enough. The online game is actually quite fun and tests your analytical prowess and on how you handle everyday problems. These problems are based on actual problems faced by L’Oréal on a daily basis and your problem solving abilities and analytical thinking abilities will be pushed to the core. The French cosmetic giant has always been unconventional when it comes to hiring new talents, and is always looking for people with fresh ideas. The presence of an online game in order to hire new talents is proof enough for his claim! Hence, do not be surprised if your interview seems a bit whacky or unconventional, L’Oréal is doing this on purpose. Previous articleHow to get a Job offer with an International NGO?